Program will offer an innovative approach to bridging the gap between education and employment for youth in customer services jobs. Generation and Youth Opportunities Unlimited (Y.O.U.) are joining forces to bring a proven, global, youth employment training program to Ohio for the first time to help local young people connect with the job market. The partnership will launch a joint program in Cleveland, reaching 100 young adults during the pilot phase. Y.O.U., an established non-profit in Cleveland, has been tackling youth workforce development for 30+ years, reaching more than 160,000 young people since its founding in 1982. Together, the partnership will provide an innovative model to help fix the skills gap, connect employers to skilled labor, and help end youth unemployment. The new program will seek to partner with local and national employers in the target sectors to identify job vacancies and deliver great talent. “We are excited to embark on this partnership with Generation to prepare 18-24-year-olds with the opportunity to work in high-demand professions in the retail, customer service, and hospitality fields. We are able to provide this exciting, new, no-cost pathway to the young adults we serve, through funding from Cuyahoga County. We look forward to proving the potential of this model and quickly scaling to maximize our impact in years to come,” says Craig Dorn, President & CEO of Youth Opportunities Unlimited. “Generation is thrilled to partner with Y.O.U. to help both unemployed young people and employers who are facing an unparalleled need for skilled employees,” said Generation U.S. COO, Sean Segal. “Generation’s proven methodology and success around the globe, paired with Y.O.U.’s experience in the Cleveland community, will ensure Cleveland’s unemployed youth a new path to sustainable careers,” he said. Vacancies are costly for employers. In Cleveland, there is a significant demand among employers for customer service and teller positions. Cuyahoga County alone has 20,000-plus unemployed youth who are candidates for training to fill these positions.The youth unemployment rate in Cuyahoga County is 13.8% (5% higher than the city as a whole). Founded by McKinsey & Company in 2014, Generation is a demand-driven employment program that recruits, trains, and places young people in jobs. Generation USA has the weight of the global Generation organization’s strong track record of success behind it, with more than 18,000 graduates across five countries—India, Kenya, Mexico, Spain and the United States, Hong Kong, and Pakistan —and programs spanning 20 professions. Of those graduates, 83% are employed within 90 days of program completion, 68% remain employed six months later, and they earn incomes that are 2-6 times what they were making before the program. The more than 1,700 employer partners Generation has worked with have seen significant impact as well, with 88% of them saying that Generation graduates outperform their peers and 98% saying they would hire a Generation graduate again. Generation programs are free for accepted participants, and participants are guaranteed job interviews when they successfully complete the program. The program consists of an innovative boot-camp style training that emphasizes repeated practice in the most important skills for a role. 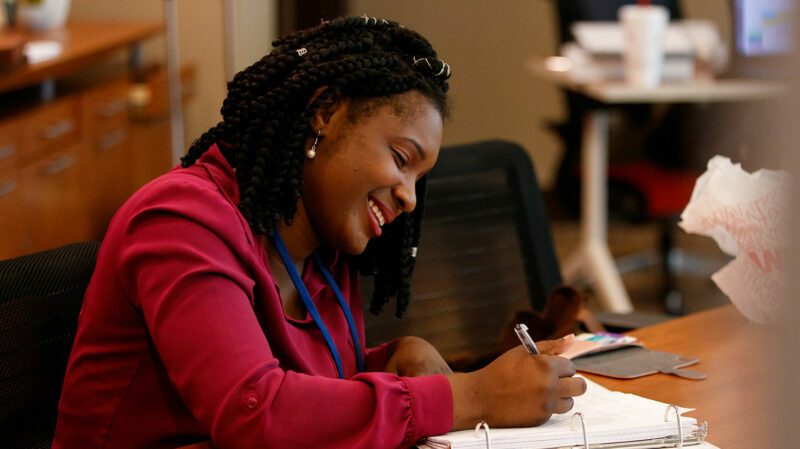 In addition, Generation offers an integrated curriculum that combines technical, behavioral, and mindset skills; participants receive mentorship support throughout the program and after they join the workplace; and both participants and employers benefit from a focus on delivering a positive, measurable return on investment to them.